I refuse to pronounce Glühwein because I'm sure I'll sound like an idiot. But apparently its "gloo-vine." 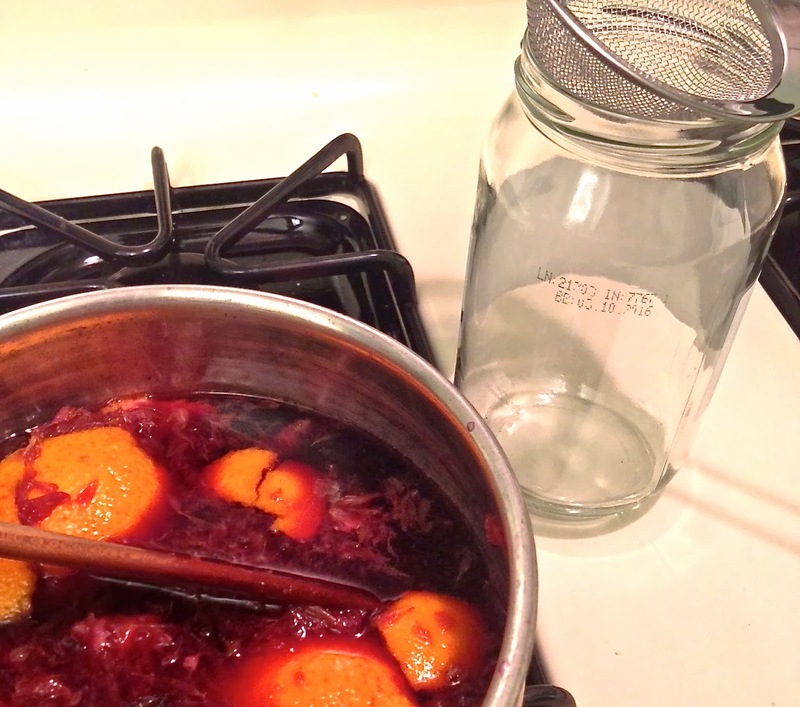 I'll call it "holiday mulled wine." Either way, it is soul warming. 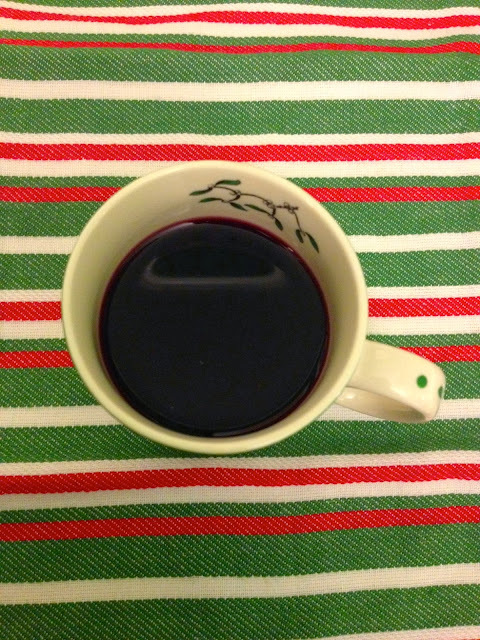 I mean, what is better than a glass of wine to wind down the day or enjoy with friends on a cold winter's night? 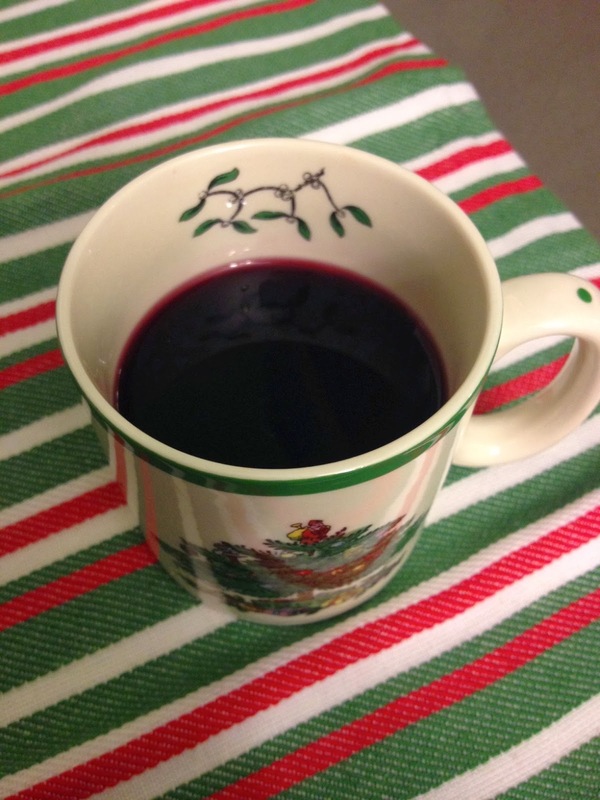 Traditionally, Glühwein is made with red wine, sugar and spices. Instead of sugar, mine is made with brandy. I once went to the nice bar at the W Hotel in Austin and ordered one of their cocktails without simple syrup. The adorably flamboyant server looked at me sideways and rhetorically asked, "What'll we do without the sugar? Oh! We'll add more vodka!" I loved him. I went ahead and adopted his outlook on life--er-- cocktails. Throw the cardamom, ginger, cloves and cinnamon in a medium pot. Turn the heat on medium high. Juice the orange into the pot then toss in the peel. 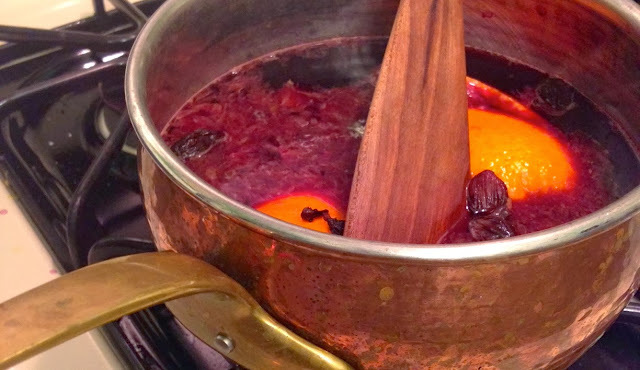 Stir and break up the orange peel with a wooden spoon. Cook about a minute to release those flavors and fragrances. Yummm. Okay, now stir in the wine and the brandy. Do NOT let this mixture boil. Bring the heat up just BEFORE a simmer, and keep it there for 5 minutes or so. Strain the solids out and serve warm. You can refrigerate the strained mixture overnight and reheat it the next day. I don't know how long it will stay good beyond 2 full days, because we had finished it by then! This drink is meant to be shared with someone you love. There is something so special about sharing a comfort food or, in this case, drink, with a person who warms your soul. My mom and I had the first taste of it together this past weekend. Last night, my best friend from childhood and I shared some to celebrate her birthday. Bring this to your family Christmas dinner to share with the ones you love.